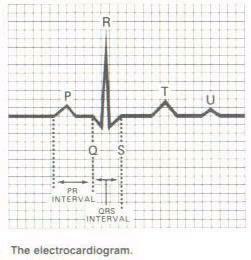 p wave, the QRS complex, the t-wave, and the u-wave. We will leave out discussion of the u-wave at this time. 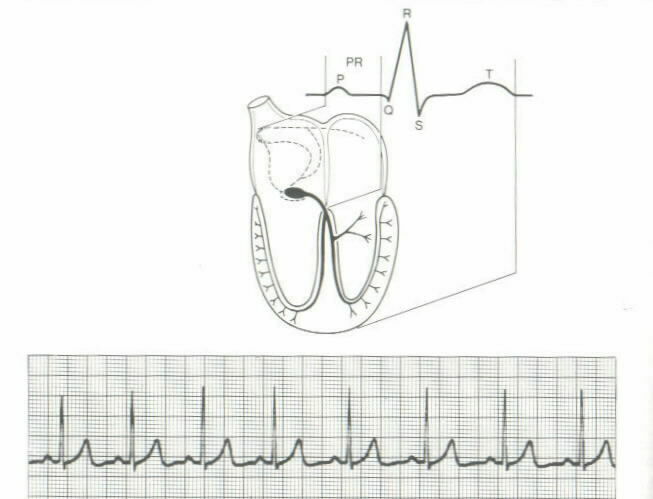 This is the electrical pattern that causes the mechanical action of the heart to beat. These are the components we will monitor and measure. The smallest boxes represent 0.04 seconds. Five of these make up a larger box that represents 0.20 seconds.  Five of the larger boxes represent 1 second, see left. Next picture shows the mechanical heart showing the equivalent in the electrical pattern. Enlarged for you to see. QRS complex on the T wave. conditions. If prominent, it can indicate some disease processes like hypokalemia. The Rhythms Page has basic information to read a strip and a link to the Rhythm Test. The Rhythm Test will let you identify the proper rhythm and then the rhythm will tell you which algorithm to follow. 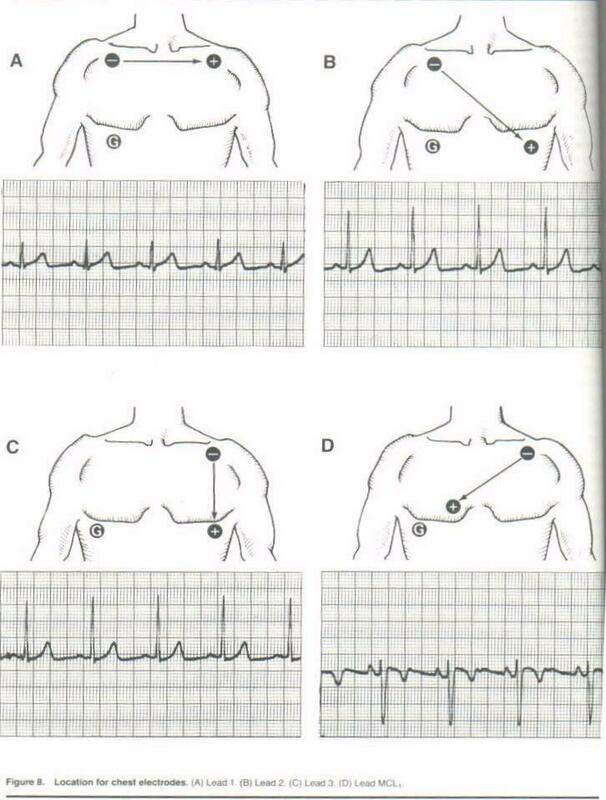 Next is a diagram showing placement of leads and what you should expect to see on the ECG strip.